Jan. 14, 2017 – San Diego, CA — Another Risperdal lawsuit was settled just days before heading to trial this month. It would have been the seventh case to go before a jury in the Risperdal mass tort program out of Philadelphia’s Complex Litigation Center. The court was notified of the settlement on Jan. 6, merely three days before the trial was scheduled to begin on Jan. 9, according to court records. The terms of the settlement were not disclosed. 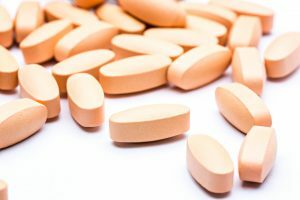 The lawsuit involved a young man from New York who claimed to have developed gynecomastia as a result of taking the antipsychotic medication Risperdal. 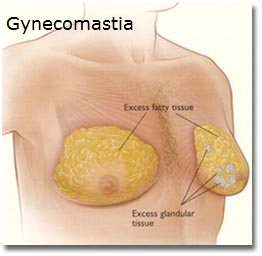 Gynecomastia is a condition in which boys and men develop tender and swollen breasts. 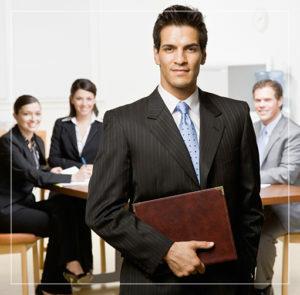 It is caused by hormonal imbalances and often requires surgery to treat. The young man took Risperdal for nearly a decade between 2002 and 2011 before stopping treatment with the drug. He was prescribed the antipsychotic medication “off-label,” meaning for an indication not approved by the U.S. Food and Drug Administration (FDA). The FDA cleared Risperdal for the treatment of certain mental health conditions in 1993, but the agency would not approve it for use in children and adolescents until 2006 – four years after the plaintiff started treatment. In April 2013, he filed his lawsuit against Janssen Pharmaceuticals Inc., a Johnson & Johnson subsidiary and the maker of Risperdal. Janssen attempted to get the lawsuit thrown out of court entirely this past October when it filed a motion for summary judgment. Judge Arnold L. New, who has presided over the vast majority of the Risperdal cases, granted Janssen partial summary judgment in late December, dismissing all but two of the 13 claims against the company. The surviving claims included negligence and failure to warn about the risks of Risperdal. This is not the first case to end in a settlement mere days before heading to trial. In November, Janssen settled two cases for undisclosed amounts, one just four days before its scheduled trial. Janssen has also been found liable in other Risperdal cases that have gone before a jury in Philadelphia. So far, four trials have ended with verdicts in favor of plaintiffs. In the first-ever Philadelphia Risperdal trial, which concluded in February 2015, a jury awarded the plaintiff $2.5 million. The third and fourth Risperdal trials returned verdicts of $1.75 million (later reduced to $680,000) and $500,000 for plaintiffs, respectively. And the fifth case to head to trial this past July ended with a whopping $70 million verdict in favor of the plaintiff, which was later increased by more than $6 million. But plaintiffs haven’t always come out the victors in these Risperdal cases. The second-ever trial returned a verdict in favor of Janssen, though jurors determined the Risperdal labeling did not adequately warn about the drug’s potential risks. And plaintiffs were quickly deflated following the massive verdict in July when the sixth Risperdal case was dismissed midtrial for insufficient evidence. Another case was also thrown out completely before it even went to trial in late October after Judge New granted Janssen’s motion for summary judgment. The case is now on appeal before Pennsylvania’s Superior Court. Another case was thrown out completely before it even went to trial in late October after Judge New granted Janssen’s motion for summary judgment. The case is now on appeal before Pennsylvania’s Superior Court. Two Risperdal cases are slated for trial next: N. et al vs. Janssen Pharmaceuticals Inc. et al (130600734) and Hibbs vs. Janssen Pharmaceuticals Inc. et al (130600861). Both are scheduled to begin on Feb. 21, according to court records. Janssen has filed motions for summary judgment in both cases, records indicate. The case is Z.S. et al vs. Janssen Pharmaceuticals Inc. et al (130402100) in the Philadelphia Court of Common Pleas.